It’s not a secret that gamers are pining for new hardware. Whether that’s next-gen consoles or new handhelds, it doesn’t really matter, they just want something new to play games on. That seems to be where the fervor directed at Ouya comes into play. Our own Jared Newman wrote about the console's unveiling and what you need to know already, but I find the whole concept of a new, Android-powered home console extremely interesting. Android isn’t what I would immediately think of if someone asked what operating system a low-cost home console should run on. There’s a few reasons, but the biggest is the state of games on Android platforms. Take a minute to search through Google Play (formerly known as Android Market) and find some of the few games that have actually been optimized for Android tablets; there aren’t many. Now take that number, compared to the overall number of games available for Android, and try to estimate how many of those will be optimized for play on a television. Maybe a few dozen, at most? Thousands of people are investing in a system that will be able to play a few dozen games at launch. That isn’t much. Sure, it’s all about investing in the future. Developers might start to optimize their titles once they realize that there’s a market for them, but that takes time. 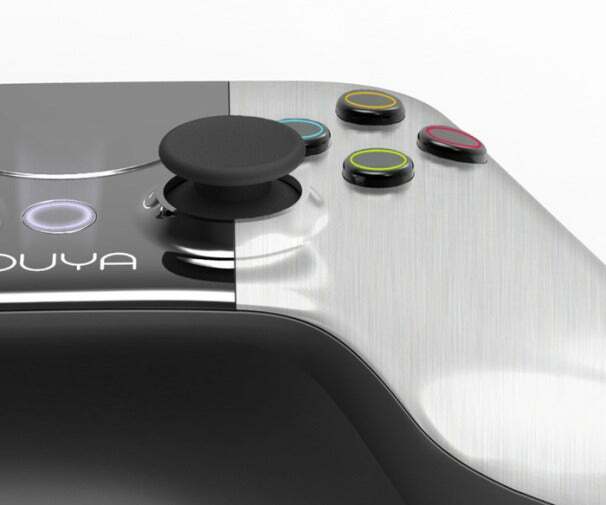 Unless developers can get their hands on final Ouya hardware a few months ahead of time, they won’t be ready for launch (The Ouya Kickstarter does claim that some developers will receive Ouya dev kits before the console launches -- Ed.). The Android OS is known for being very picky about the specific type of hardware that the user has. An application might work perfectly on one phone, but not at all on another, simply because of the onboard video card. That’s the first challenge that users are going to have to face, but there’s plenty of challenges ahead for developers as well. One of the biggest issues with Android is piracy. The whole appeal of Ouya is that it’s open-source, the console manufacturer doesn’t decide what is allowed on the console and what isn’t. That also means that they don’t really decide how things go on the console. Any Android application is available illegally by simply searching for the name of the application and file type and I see that being the case for games released on Ouya as well. According the manufacturer, the console will have a USB port for expanded storage, and that could very well be used for this nefarious purpose. 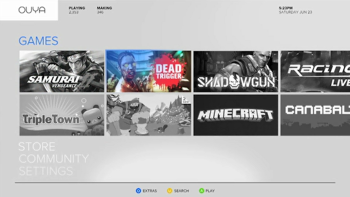 One of the main features of Ouya is that some part of the game has to be free-to-play. Developers can charge for titles, but they have to offer some kind of demo or trial. It’s a good model, because most gamers want to be able to try something out before they put down their money. This is something that PlayStation has done a great job with; they offer 60-demos of most of their titles to PlayStation Plus users, and I’m hoping that we see something similar here. Even with this caveat, there are still full versions of games and with Ouya’s open-source nature, you can bet that someone will find a way to crack and distribute them. It’s something that developers are going to have to consider before putting in the effort and development time to optimize their titles for Ouya. We really have no idea what Ouya could do. It’s an extremely novel concept and the Kickstarter video sold me on the UI (something that I always find troubling with Android), but there’s still so much that’s unknown. We don’t even know what the left side of the controller looks like! We can only hope that they reveal more information as the Kickstarter campaign continues. At the time of writing, they’ve raised over $3.2 million dollars and it has been less than 48 hours. That says something about what gamers are looking for.